ADHD medicine has made its way to college campuses and has been known for its abuse. 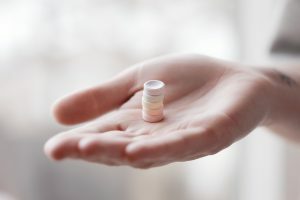 Turning to prescription drugs during tests and finals has become all too common in order to pass. Those who aren’t even prescribed the drug are taking it periodically throughout the semester, resulting in residual side effects. With the belief that these drugs will improve your grades, it is only a matter of time before this misconception spreads to the whole country. With little knowledge of the after-effects of the drug, students are unaware on how these drugs can hurt them. Today, I will cover the use of ADHD medication on college campuses, while also detailing its potential risks. Attention-deficit/hyperactivity disorder is a chronic condition including attention difficulty, hyperactivity, and impulsiveness. To combat the effects of this disorder, doctors prescribe drugs like Adderall and Vyvanse that help keeps you focused. These stimulants increase the amounts of the hormones called dopamine and norepinephrine in the brain. This effect improves concentration and decreases the fatigue that’s common with ADHD. Although the stimulants help someone focus for 4-6 hours, the side effects are fervent. Causing sleeping problems, as well as decreases in appetite, ADHD medication can make users have long-lasting problems if students take it frequently. With college exams, quizzes, and other school work, many college students turn to the stimulant to complete tasks. Researchers have discovered that 30% of students have illegally used ADHD drugs, such as Adderall. Furthermore, with claims from the students that “study candy” is able to increase grade percentages, students continue to turn to the drug. No studies have proven that ADHD medication on college campuses increases grades, but actually the opposite. Studies, conducted by Janet Currie of Princeton and Mark Stabile of the University of Toronto, conclude that an increased usage of ADHD medication on college campuses is linked to worse math scores, worse parental relationships, increased unhappiness, higher anxiety, and even depression in girls. With arguments for and against the use of the stimulant, it is hard to actually know if it really does help with test scores. It is also important to point out the fact that results could vary from person to person. The use of prescription drugs when not prescribed by a doctor is still very illegal and users could be at risk. For more information on the effects of ADHD medications, check out this website.